Nothing sells quite like an electrically Powered Nightlight Merchandising Display where customers can get a sense of how it will look, lit and in use. This freestanding Column does so in a minimal footprint, but with maximum effect. In fact, judging by the stock drawdown, it is the main point of sale. See that the stacked nightlights on table top fare less well unpowered. Shoppers seem to be taking the unboxed, but powered with them. 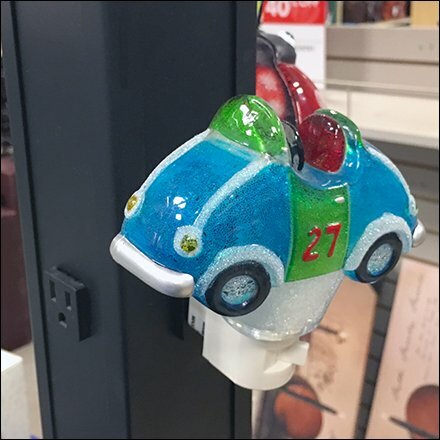 Consider the Powered Nightlight Merchandising Display in the gallery of images.